Information on Military Immunization Tracking Systems. Author Military-ArchivistPosted on September 4, 2016 May 4, 2016 Categories UncategorizedLeave a comment on How to find Army shot records? The military organization of every country normally consist of the army, naval and air force units. The air force units of a military organization refers to the military personnel responsible for conducting and execution of the air defense warfare strategies of the military organization. Around the world, air force units of every country may consists a combination of fighters, bombers and other aircraft flight defense personnel and teams. The air force are the military’s defenders in the air. US Air Force military records. In 1973, the US National Personnel Records Center or NPRC in St. Louis, Missouri was hit by a fire damaging many of the military records stored within including those of the air force military personnel. Due to this incident, air force military records can either be those ablaze by the fire while many of the air force personnel records in electronic format by October 1, 2004 were still retained by the Office of the US Air Force and other service personnel offices of the US Air Force. 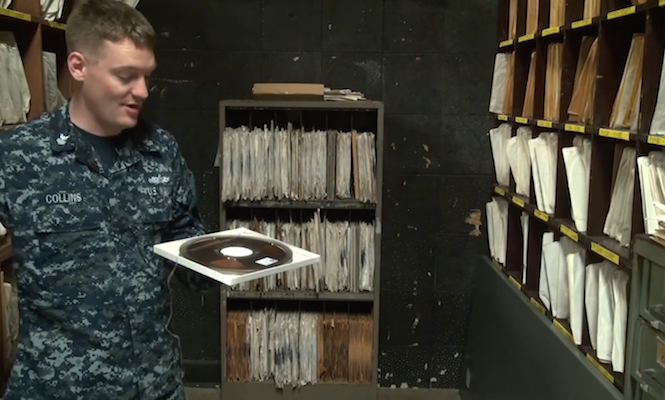 Depending on the year of discharge or retirement, air force service records are held and compiled on several military records storage facilities. Founded in the year 1912, the Royal Flying Corps was the United Kingdom’s first air service contingent. Starting from July 1914, the Royal Flying Corps became a separate unit from its former mother unit, the Royal Naval Air Service or RNAS. 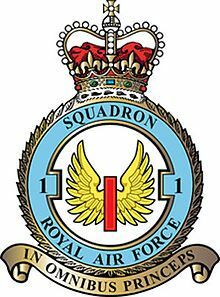 But on April 1, 1918, the unit was formed in alliance with the Royal Air Force or RAF as a unified contingent of the British army. As a result of the different mergers and transfers, British airmen and other interest parties in search of the military records of the Royal Flying Corps may find them in one or more record repositories of the British military. It is, therefore, vital in the search to exactly determine information about the subject airman’s covering dates of services since only limited data may be readily available online. The Royal Australian Air Force (RAAF)was responsible for Australia’s foremost aerial defense unit responsible in providing military air support, surveillance, intelligence, mobility, reconnaissance as well as aid and humanitarian missions. RAAF air squadrons, fighters, and bombers have been in the center of every major world battles such as the second World War, the Vietnam war and the Korean war. An active participant of the Desert Air Force in 1941 under the Royal Air Force Middle East command located in North Africa, RAAF provided and fielded approximately 1,000 combat squadrons of air support along with other Allied forces. The Royal New Zealand Air Force Formed from the contingents of the British Royal Air Force that served until the end of the 1940s, the Royal New Zealand Air Force became officially New Zealand’s foremost air defense wing in 1923. The Royal New Zealand Air Force along with the Allied Forces have fought during World War II as well as in the Malaysian, Korean, Vietnam and the Gulf war. They were also participants in the various global peace keeping missions initiated by the United Nations. The Royal New Zealand Air Force’s combat duties have ceased to exist in the year 2001 upon the termination of the A-4 Skyhawks squadrons that dominated air defense during the World War II battles and other subsequent wars. Formed in the 1920 the Royal Canadian Air Force was incorporated in 1923 and granted the royal sanction by King George V in 1924. In February 1, 1968, the contingent was unified along with the Royal Canadian Navy and the Canadian Army to form the current mother unit of the Canadian Armed Forces. Requesting Air Force personnel records. Airmen and other interested parties requesting information about personnel records must have the following information along with a signed letter of request about the subject military personnel. Rank- Last updated military rank or designation earned from the service. Address – Complete postal address including state, region and zip codes. Other Contact information – Other contact details such as contact telephone or fax numbers that may be deemed necessary for communication. Purpose and specifics about the requested record. How Military Personnel Records Are Requested? Depending on the country for which your request will be addressed to, the military personnel, its next of kin and other interested parties will start initiating their search through the designated government archive and repository. The search normally start by researching through the internet. All parties interested in finding or securing military and historical records of Canadian military personnel, always bear in mind that fulfilling each request takes time since the process is no easy task and often requires meticulous and detailed accordance, discipline and adherence to guidelines and protocols being implemented within the system. We therefore request parties involved to accord patience and understanding and most of all discipline just like the way how each soldier understand following the chain of commands. The Canadian archives & records repositories. The Canadian government held its military records and documents can be found in several authorized repositories and information offices. It is therefore convenient and wise if the search can be conducted with an able and reliable search partner to help you locate the subject documents. In searching for Canada’s aboriginal, ancestral and pre-war registry records, it is best to know Canada’s roots and origins to find directions about the search. Some of Canada’s earliest known inhabitants were Indians(First Nations), arctic people (Inuit) and the aboriginal settlers (Metis). Indian First Nations were said to have entered into pacts and treaties with the Crown government or the United Kingdom which later on resulted to the creation of the so-called Indian Register that served as the registry of the Indian aborigines and early inhabitants of Canada used and being referred to in terms of granting of reserves, claims and entitlement to rights and benefits. Canada’s military and war registry. Canada’s history of documented military records dates back as early as the 16th century. If you have someone in the family who was a war veteran and someone who have experienced serving during the war, most likely you might have been hearing over and over again tales and stories about the war. Stories, old memorabilia, letters and photographs can help in the search and can give clues and hidden information in tracing about the subject military record.Old photographs, war stories and memorabilia can help reveal information about the search. Canada and its war veterans. Military records during the Colonial era. The so called Great War or more famously known in world history as World War I which ignited in Europe starting from July 28, 1914 up to November 11, 1918 involved both military and civilian war personnel. More than 70 million enlisted military men and women as well as 60 million Europeans took part into this global combat. And when the war reached through the United States, more than 4.7 million military men and women were listed to join the combined US forces under its regular, national and draft units assigned in different posts and war assignments. Registries and records kept of these enlisted war personnel though survived during the havoc of the first world war, the same barely survived the damage done by the following World War II era. And these surviving records have been digitized for safekeeping and preservation, most of it were readily available online and can be researched by interested parties. Due to the large scope of area where military listings and registries have been kept and recorded, the WW1 army records of military personnel who participated during the war are generally organized and kept by each state repository in the United States. Army records for WW1 were indexed on several online genealogy websites as research facilities on information and historical war records of US army records. US army records for the first World War gathered and recorded over time generally involves an enormous amount of records due to the span of its coverage and the number of American men and women who have been part of the so-called Great War. US army draft records alone numbers approximately 24,000,000 million cards. How US Army records are archived? For guidance on how US Army records are archived, Army Records suggests that you include this guideline to your search plan for all your military records research activity. Although the first world war affected most European nations. Great Britain was a key player in the first world war in opposition to the ruling central powers or the Quadruple Alliance dominated by Germany, Austria-Hungary, the Ottoman Empire and Bulgaria in the early 19th century. Great Britain comprises England, Scotland, Wales and Northern Ireland and was largely referred to as the United Kingdom or British Empire. British Empire was one of the core of the so-called original Triple Entente alliance or Allied Forces formed between the French Republic, the British Empire and the Russian Empire which later included Italy upon its defection from the then ruling central powers claiming it’s alliance with the central powers was just a defense tactics against Germany and Austria-Hungary. 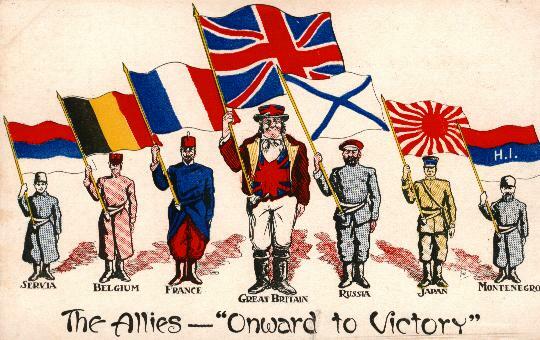 Italy’s defection soon made other countries like Japan, Belgium, Serbia and others follow alliance to become affiliates of the Entente against the central powers. The military data bank of the Australian government have preserved an enormous collection of different national, historical and government records for the more than 100 years of its record keeping services. Army-records.net is your one-stop portal to help you get information related to the finding of Australia army records online. World War I & the Anzacs. ANZAC stands for the Australian and New Zealand Army Corps which was the coalition soldiers of Australia and New Zealand formed in 1915 as part of the allied expedition troops that penetrated Gallipoli, a Turkish peninsula off the coast of the Aegean Sea. The Gallipoli cove where more than 50,000 Anzacs have fought was a vital gateway in the Black Sea which aided the Allied navy forces in conquering Constantinople, the seat of the Ottoman Empire and Germany’s ally during the war. World War II & the Australian Army. The Australian army was the largest military contingent of Australia during World War II. It was formed coming from the smaller Permanent Military Forces (PMF) units. The full force of the Australian army was later fortified to make up the so called Second Imperial Force which was assigned to augment with the Allied forces in fighting against the central powers on the Mediterranean, Middle East and North Africa. The Australian army also fought the Japanese across the South West Pacific during the war and help the British Commonwealth Occupation Force in conquering Japan starting 1946. Military servicemen, war veterans and their families from different parts of the world go through tough efforts in finding military records needed in processing various documentations and claims. New Zealand is a country where many brave men and women, civilian or military have served during the war. Personnel records of Kiwis as what New Zealanders are known to be called in the military world which originated from the regimental sign popularized and featured by the New Zealand Army Corps during World War I. The Army Records.net is committed to serve as the portal for anyone who has the interest to find out records and resources in finding out for New Zealand military personnel in active service or not. Currently, there were about 1.5 million military files of Kiwis stored in the military archive. And finding a specific personnel record might be too tedious and intricate. Army Records.net provide services and extend assistance in helping interested parties gather and research on military record files for Kiwis and their families. The New Zealand Army refers to the ground defense units of New Zealand. These units consists mainly of the territorial, regular and civilian military personnel. Formerly known as the New Zealand Military Forces by virtue of the New Zealand Army Act of 1950. They are also referred to as the Ngāti Tūmatauenga by the Māori people. Fighting the battle in honor of the king and the country was the main battlecry during the first world war. About 100,000 men and women were listed in the so-called ‘nominal rolls’ of the New Zealand Expeditionary force which were published between the years 1917 and 1919 by the New Zealand government. Personnel files of these enlisted New Zealand soldiers are considered the prime source of information and data by most military researchers and genealogists. But data in most NZ army records were raw and obscured since most of these files were accomplished using military short-hand and codes that maybe hard to decipher by ordinary and non-military and non-expert personnel. What’s in the Kiwi Military Personnel File? A military personnel file consist of pertinent documents of a soldier’s various endeavors and proof of recorded activities, engagements and achievements while still in active service including the soldier’s post service records for veterans and past or deceased military personnel. The following lists were most likely the list where researchers can search for the information referring to a Kiwi WWII military personnel. During the period from 1939 to 1945, the British and the Commonwealth forces created a system to list down military personnel who were not serving with a unit or absent from their regular unit during the war for reasons such as transferred or back in transit from another post of duty or different unit or other necessary yet valid circumstances of war. Most people searching for WW2 NZ army records would most likely refer to and from the ‘X’ list files to corroborate findings on the military record of the military personnel whom they think have served during the WWI to WWII period. Almost just like the ‘X’ list, the ‘Y’ list pertains to the listing of active yet undischarged New Zealand military personnel during the war but presumed ‘ineffective’ due to reasons of disability, disease,detention, etc. The ‘Z’ list was the army reserve or contingents list of the Kiwis created in December of 1918 to answer the call augmentation forces of the British Royal Army against Germany. The list was abolished and defunct on March 31, 1920 releasing all military personnel from the list. The above mentioned lists were executed during the war and are greatly administered in several variations over time on the matter of listing and execution. All are therefore accorded with guidance to secure information about these lists only through authorized and reliable channels for interpretation of the information from the subject military files. How US military records are archived? As a general procedure in keeping and archiving the official Military Personnel File or OMPF, undergo the so-called ‘rolling’ archiving wherein the official service record shall become archival 62 years after the separation from service of the subject military personnel. Hence, this signify that the official service record of every US servicemen and women who have served the military 1955 or 62 years prior to the current year (2016) were now ‘Archival’ and can be publicly accessed. Meanwhile, the official Military Personnel File or OMPF of US servicemen and women who have served the military from 1955 onwards are classified as ‘Non-Archival’ documents and therefore kept and maintained on their respective Federal repository which were likely to have access restrictions and not necessarily open to the public. Proper authorization to access or view might be needed for Non-Archival military records. Author SoldierPosted on June 24, 2016 June 24, 2016 Categories Uncategorized2 Comments on How US military records are archived? In search for US military service records of missing family, friends or acquaintances who has been in the military service? If you are looking for military records in America , using a database for US servicemen and women who were listed in the army, air force or the navy. Whether the person you are looking for was honorably or dishonorably discharged, locate any servicemen using the database for soldiers records. Find service records online and search army records of all listed US servicemen who have served and were assigned and rendered duty anywhere across the world.